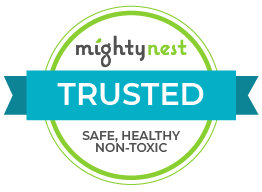 Clean Kids Naturally Kiwi Germ busting soap safely washes away harmful bacteria on small, active hands. Soothing aloe vera and select herbs help to calm minor skin irritations. This kiwi hand soap smells wonderful. Plus, it has no coconut so it is safe to wash your hands knowing you wont have any reaction. Gabriel products are made from 100% natural ingredients. No synthetic chemicals or animal by-products are utilized and no testing is ever done on animals. These environmentally safe products contain a higher percentage of active ingredients than any other similar products. Gabriel Cosmetics was conceived and developed by Gabriel DeSantino, CEO and founder of Gabriel Cosmetics, Inc. Inspiration for the line was drawn from generations of family tradition and knowledge of the healing properties of the sea.